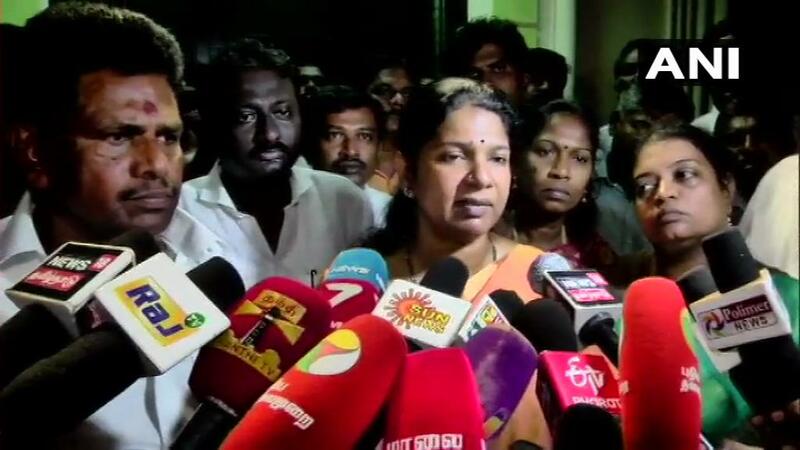 DMK leader Kanimozhi speaking to reporters in Thoothukudi, Tamil Nadu on Wednesday. She also dubbed the raids as “anti-democratic, deliberately planned and tested”. Reacting to the raids, DMK president Stalin said: "I got a message that Kanimozhi’s premises is being raided. BJP candidate Tamilisai Soundarajan’s premises has crores and crores of rupees are kept there. Why no raids there? Who will take action? Modi used I-T department, Central Bureau of Investigation, Judiciary and latest in the row is Election Commission of India to interfere in the electoral process."